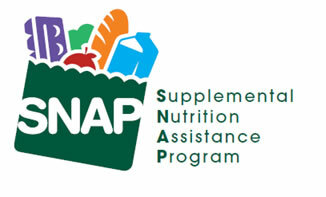 The U.S. House is expected to take up a bill this week that would cut SNAP by $40 billion over ten years. Every Member of Congress needs to hear that such an extreme proposal is unacceptable. Food stamps have had bipartisan support for decades. (See Stop Playing Politics with Hunger by former Senators Bob Dole and Tom Daschle in the Los Angeles Times as an expression of that bipartisan support.) But now, extremist Members of Congress want to slash SNAP and hurt millions of children and their families, seniors, and poor adults without children. As your constituent, I urge you to vote against the extreme nutrition-only farm bill which would cut $40 billion from SNAP and deny assistance to 4-6 million poor people. This bill would be devastating to struggling Americans; by making more people hungry, it goes against many years of bipartisan support. What’s bad about this bill? A few points: the bill would deny SNAP to millions of poor, jobless adults without children whose income averages only about one-fifth of the poverty line – about $2,500 a year. It would also end benefits for a whole family if a parent is not working at least 20 hours per week, even if her/his child is only one year old, and even if unemployment remains high. And the bill gives states a REWARD for cutting off families – the state gets 50 percent of the reduced costs. Hundreds of thousands of children will lose free school meals. For decades, there has been bipartisan support for making sure that poor people can get the modest but vital SNAP benefits. You can help preserve a bipartisan majority that says that making millions hungrier is not what we want as Americans. And let House leaders know that they can’t be so reckless with people’s lives just to satisfy their most extreme members. Check out this op-ed from Ruth Marcus in The Washington Post for more information. Click here for talking points on the how proposals in the nutrition-only bill would impact SNAP participants. And…join the Twitter effort to share why you’re #madashell about SNAP cuts. Click here to learn why the Food Research and Action Center is “mad as hell” and join them on Twitter by using the hashtag #madashell. Click here for sample tweets. * Thanks to Feeding America for the use of their toll-free line for the call-in day.